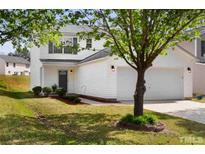 Below you can view all the townhomes for sale in the Abbington Ridge subdivision located in Raleigh North Carolina. 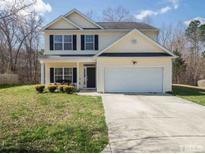 Listings in Abbington Ridge are updated daily from data we receive from the Raleigh multiple listing service. To learn more about any of these townhomes or to receive custom notifications when a new property is listed for sale in Abbington Ridge, give us a call at 919-759-5376. There is also an additional three nice size bedrooms. MLS#2246724. 297. It’ll go fast so come see it today! 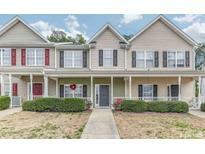 MLS#2242293. 3389. Patio, storage room & wooded buffer for rear privacy! MLS#2245014. 372. Over .24 Lot, Cul - De -Sac, Raleigh Community, Well Maintained Home with Lots to Offer, 3 Bedroom's and Loft, Large Kitchen with Plenty of Cabinets, Gas Log Fireplace in Living Room, Back Staircase leading to Loft with a great space for TV, Family Time, Home Office, Three Larger Bedrooms Up, Including the master, Super Price for such a Large Lot, over 1900 square feet and *2 Car Garage, homes in this area sell quickly, Good Access to 40, Don't Wait MLS#2244187. 1128.